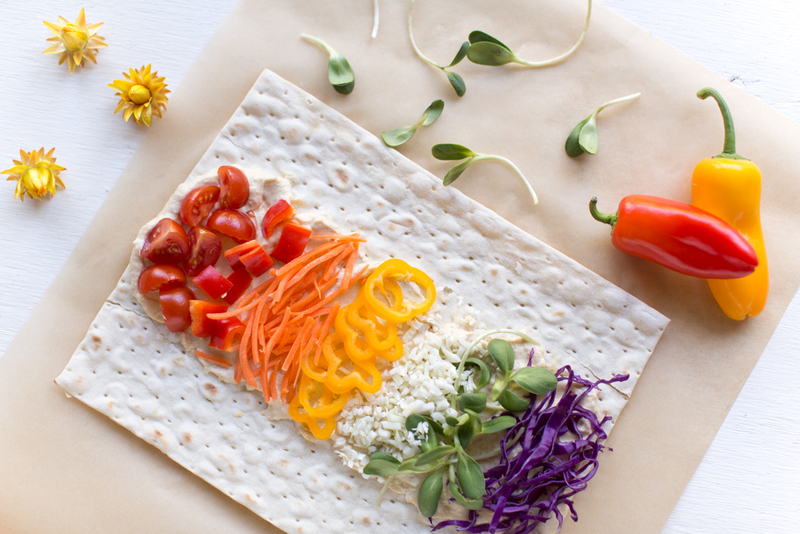 This rainbow lavash wrap is loaded with nutrients, and it tastes as good as it looks. This recipe was generously sponsored by my friends at California Lavash (an amazing all-vegan company), and you can find the recipe below. Enjoy! Sure, a brown sludgy-looking wrap can taste glorious, but our level of enjoyment undoubtedly goes down when food doesn’t look beautiful. We’re missing out on one of our five senses: sight! Why do we throw down so much money at restaurants? Yes, they prep our food and wash our dishes, but they also create dishes that look as good as they taste. The present us with food that excites all of our senses. Well, friends, today I’m teaming up with my dear friends at California Lavash to show you that you don’t need to hand over your hard-earned dollars at a restaurant to get an incredible lunchtime experience. You can prepare your own five-star vegan lunch right at home. With vegan food, it’s pretty easy to do. After all, fruits and veggies come in every shape and color imaginable, just waiting to be chopped, sliced, spiralized, julienned, pureed or blended into fantastical creations in your kitchen. One of my favorite ways to make food beautiful is by pulling inspiration from one of Planet Earth’s most spectacular phenomenon: rainbows. Not only is rainbow-inspired food insanely beautiful (and fun! ), but it’s also a great way to step up your nutrition game. That’s because different colored veggies often contain different nutrients. You’ve probably heard of phytonutrients (aka phytochemicals) and know that they’re extremely beneficial for our health. They’re widely associated with disease prevention and one of the big reasons why it’s so important to eat fruits and veggies. But did you know that some phytochemicals are actually the pigments that give fruits and veggies their color? Yup! For instance, lycopene is a red-colored phytochemical (that also acts as an antioxidant) found in many red fruits and veggies (like tomatoes and watermelon). Similarly, beta-carotene, a carotenoid that supports eye health, is found in lots of orange-colored foods like carrots, sweet potatoes, and pumpkin. 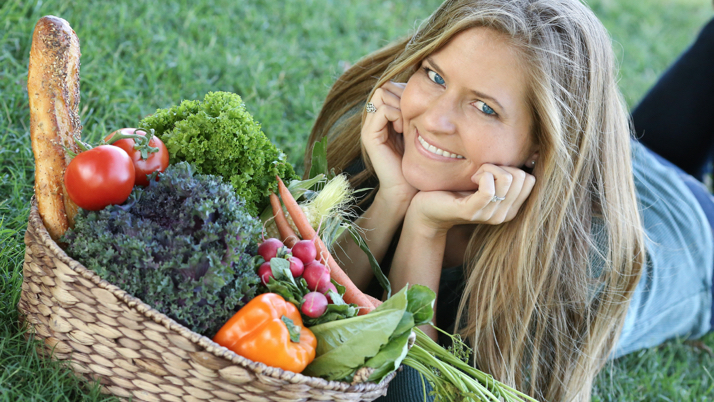 There are more than 600 carotenoids present in various plants, and tens of thousands of phytochemicals. So as you can imagine, when your plate is this colorful, you can be sure you’re getting a massive and diverse array of nutrients, phytonutrients, and antioxidants. Sadly, most American’s don’t eat anywhere near enough veggies. I’ve even read that upwards of 50 percent of Americans don’t eat a single piece of fruit in a day (yikes). So…this recipe is for you, Americans! 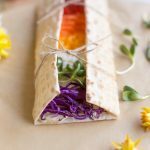 A rainbow wrap is a great way to motivate yourself (and even your kids!) to turn that horrifying statistic around. Below you’ll find the recipe, which can be customized with whatever colorful veggies you have on hand. I’ve included a veggie color guide down below so you can see what veggies and other foods you can choose from in each color category. There are so many ways to eat the rainbow! I’m also sharing a few different rainbow veggie combinations I’ve used (see photos below, as well as the original photo by Francesca @PlantifullyBased that inspired this recipe, and my subsequent obsession with rainbow foods). 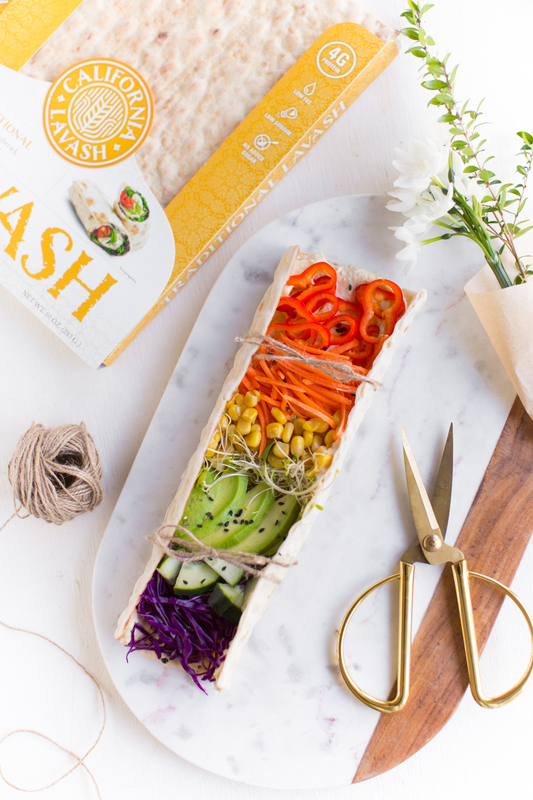 Enjoy an inspired lunch with this lavash hummus wrap filled with a rainbow of veggies. 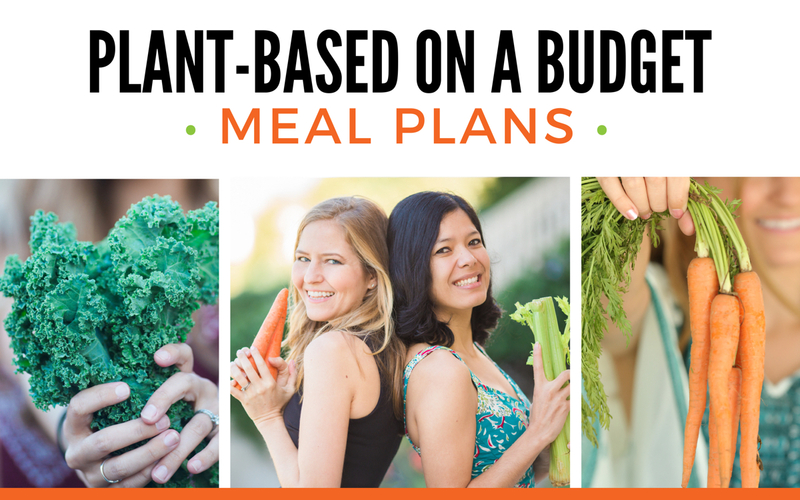 It's easy to pull together with whatever veggies you have on hand, great to take for lunch on-the-go, and packed with nutrients to keep your body healthy and happy. What's not to love? Place one sheet of lavash on a flat surface. 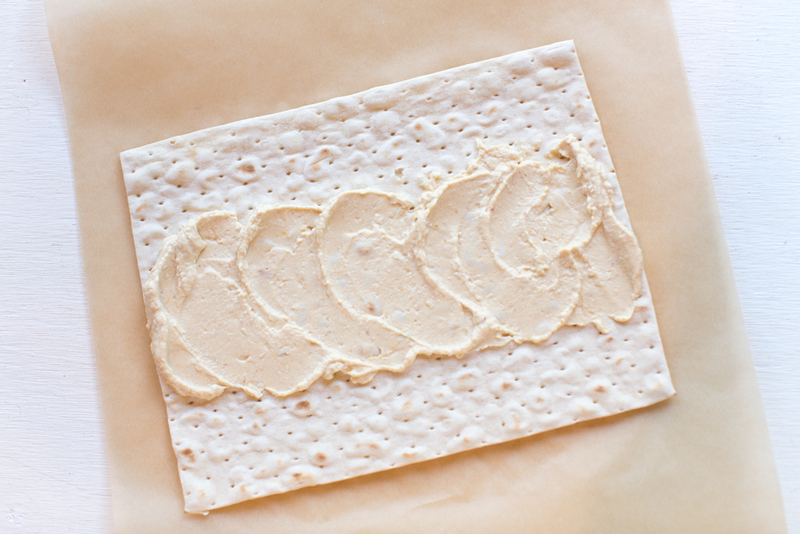 Using a butter knife, spread the hummus evenly on the lavash. Sprinkle your veggies on top of the hummus in the following order: red (top), orange, yellow, green, purple (bottom). Sprinkle with black sesame seeds (optional). 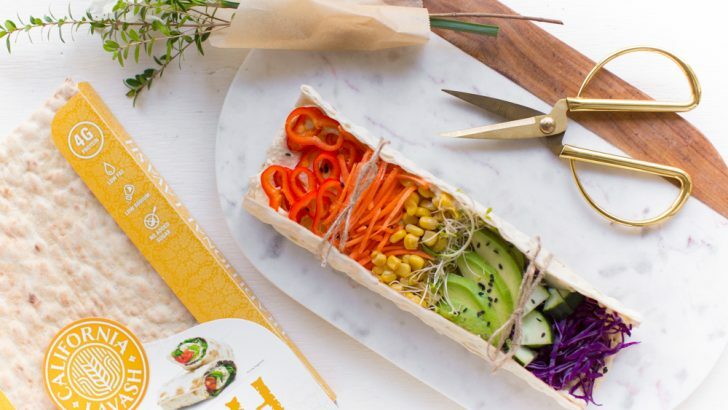 Close both sides of the lavash around the veggie-filled center and enjoy as you work your way through the rainbow. Alternately, trim each side of the lavash with a knife, tie twine in two spots on the lavash (as pictured), and enjoy as an open-faced wrap (taco-style). If desired, drizzle with tahini (or a lemon-garlic-tahini dressing). Totally optional, but can be a nice extra touch! What The Heck Is Lavash? Lavash is an ancient Middle Eastern flatbread that is perfectly suited for wraps. California Lavash is a vegan family-owned company that has been making traditional lavash for more than two and a half decades (using grandma’s recipe). They’re bringing the taste of the Middle East to America without the use of any preservatives, chemicals, or dough conditioners that we see in so many products today. 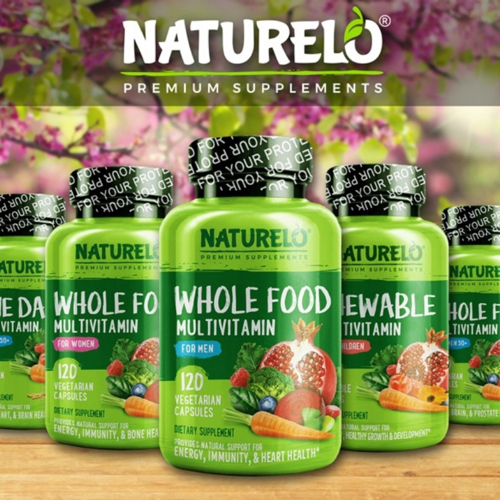 They use only the highest quality clean ingredients like unbleached wheat flour, filtered water, oat fiber, sea salt, yeast, canola oil, cultured whole wheat…and that’s about it! That’s why they’re my go-to brand for lavash. Plus…did I mention they’re a fully vegan company? you’ll see that beloved vegan label on all their packages! 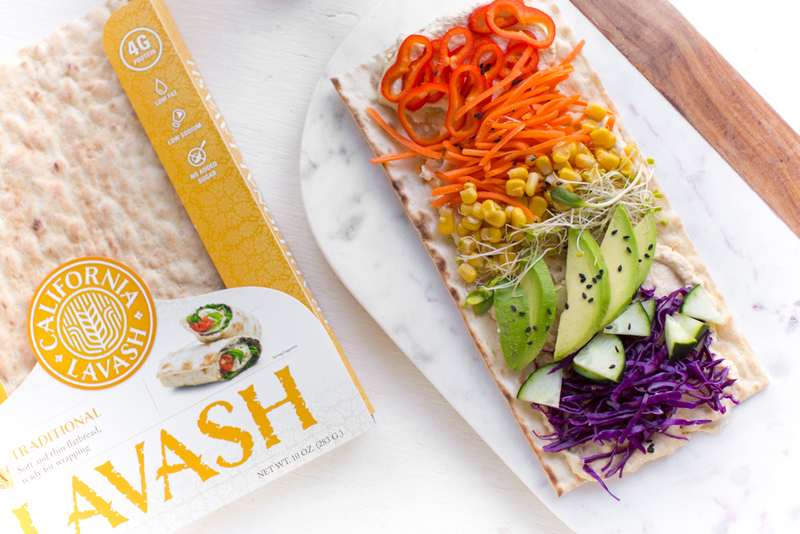 If you keep your eyes peeled, you’ll see this thoughtful company is bringing lavash, vegan naan, and pita to thousands of grocery stores across the U.S. as well as delis, school districts, and restaurants. You can find California Lavash at many mainstream supermarkets like Safeway, Raley’s, and Smart & Final. Check their store locator to find them near you. Lavash is ideal for this recipe because of the large rectangular shape. But if you can’t get your paws on lavash, you can always use a large tortilla! 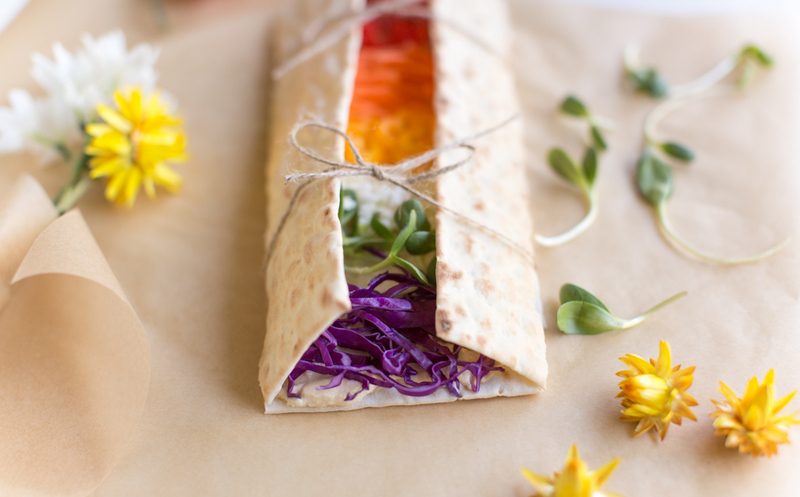 I made this rainbow veggie wrap using cherry tomatoes (red), shredded carrots (orange), sliced mini bell peppers (yellow), cauliflower rice (white), sunflower sprouts (green), shredded purple cabbage (purple), atop garlic hummus on a lavash flatbread wrap from California Lavash. This wrap I made using mini bell peppers (red), shredded carrots (orange), corn (yellow), alfalfa sprouts (white), avocado (green), cucumber (green), shredded purple cabbage (purple), and a sprinkle of black sesame seeds atop garlic hummus on a trimmed California Lavash. This is the photo that inspired this entire post. 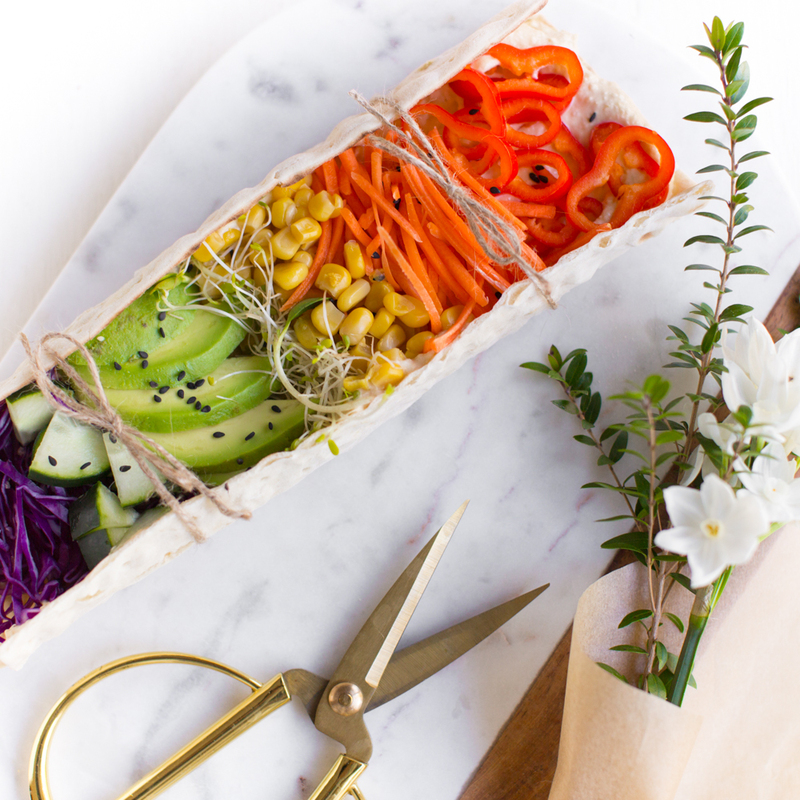 Francesca made her rainbow lavash wrap using baby tomatoes (red), baked sweet potato (orange), corn (yellow), cucumber cut like stars (light green), lettuce (dark green), roasted beets (purple), and a sprinkle of black sesame seeds on a trimmed lavash. My hope is that this recipe will inspire you to have fun with your food and get more creative with veggies in your kitchen. Not just when you’re whipping up this lavash hummus wrap, but with anything you make! The rainbow veggie concept can be applied to oh-so-many foods. You can throw a rainbow of chopped, diced, and shredded veggies on pizza, salads, sandwiches, and beyond. Get creative and see what you can come up with! Wishing you a very colorful, pride-filled lunch! And if you do make this recipe, I’d love to see your photos on Instagram—just tag us (@vegan) and use the hashtag #WorldOfVegan. Cheers! Photos by Michelle Cehn for World of Vegan. Recipe and photographs copyright of World of Vegan™, all rights reserved. This article is kindly sponsored by California Lavash. 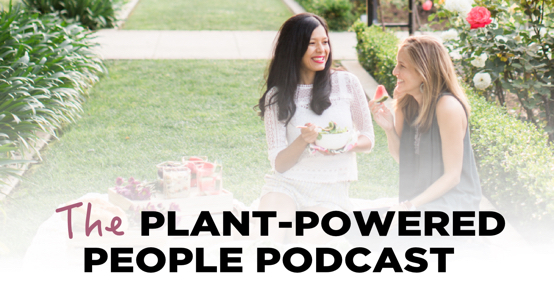 Thank you for supporting conscious brands that make it possible for World of Vegan to continue bringing free vegan recipes and resources to the world! Thoughts are our own, and we only share and collaborate with products and companies we sincerely adore.